By the end of 2018, the launch of mid-range smartphone from Samsung, the Galaxy A (2018) series is getting closer. The smartphone line will replace Galaxy A (2017) which is quite successful in the market, but it seems that the presence of this latest generation will further increase the interest of prospective buyers because it has a cool design that we can see in the latest leaks. This time we can see it in a case, which consists of four different color versions. As rumored before, the Galaxy family A (2018) will carry Infinity Display, and not least the Galaxy A5. Samsung always brings new features in the Galaxy S series for next generation smartphone from the Galaxy A range. So, Galaxy A5 (2018) will also have a fingerprint sensor on the back. If the Galaxy S8, S8 Plus and Galaxy Note 8 have a fingerprint sensor on the side of the camera, there is a Galaxy A (2018) series will be under the camera, where it does not make the user wrong in putting fingers and to make it easier to reach it. In addition, this smartphone also has a special button to activate Bixby which is on the left side, place under the volume button. 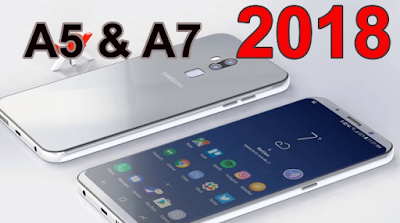 There is a possibility if this smartphone will be launched in January next, along with Galaxy A7 (2018) and expected also Galaxy A3 (2018) also launched. Samsung Galaxy A5 (2018) is expected to carry Exynos 7885 or Snapdragon 660 chipset for some countries. In addition, this smartphone is also expected to have 4GB or 6GB of RAM. Although currently OS Android 8.0 Oreo already available, but it seems Galaxy A5 (2018) is still running Android 7.1.1 Nougat.